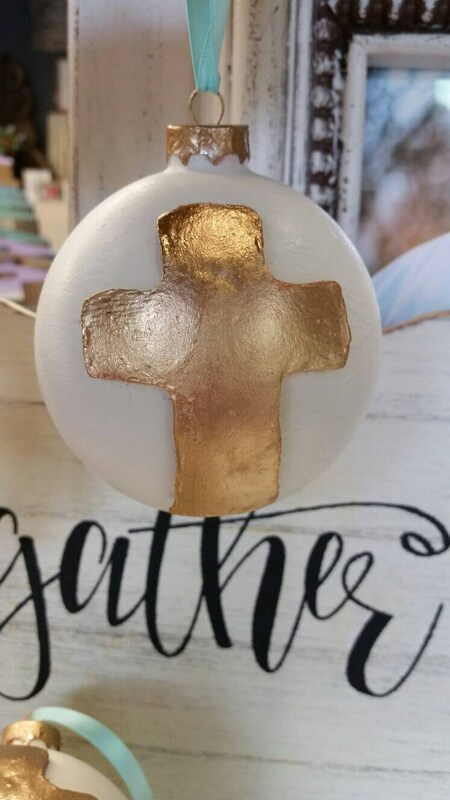 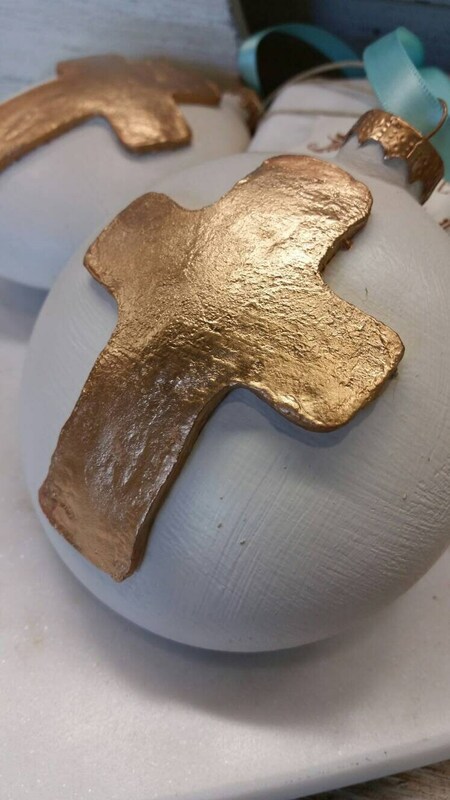 Gold Leaf Cross Ornament - Handmade - Old White - Gift - 4 Inch Round Glass - Christmas, Hostess, Housewarming, Or Wedding Gift. 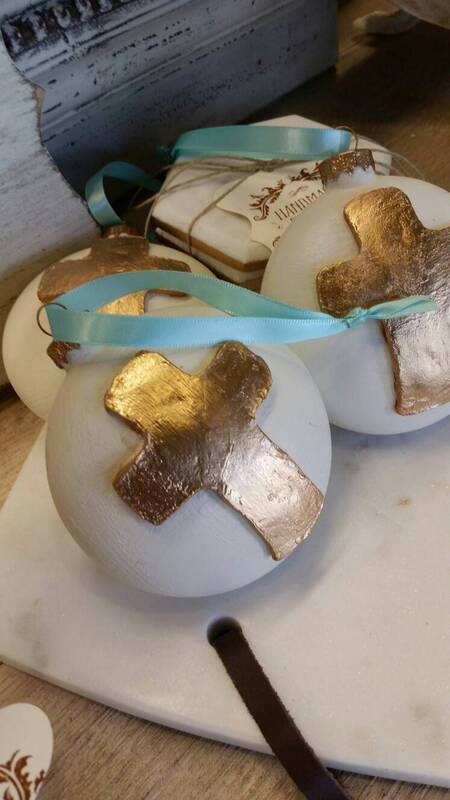 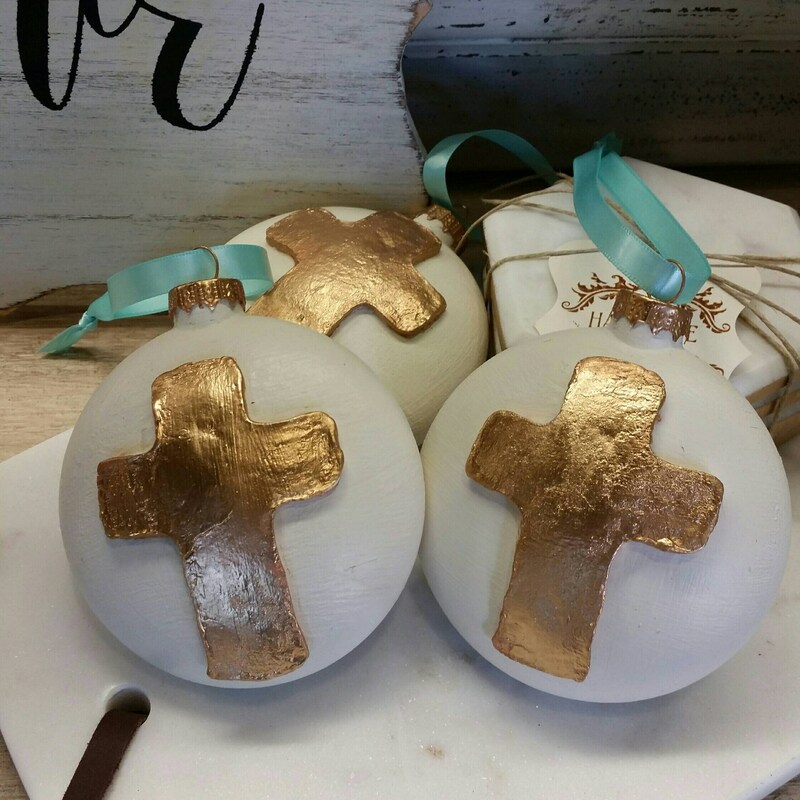 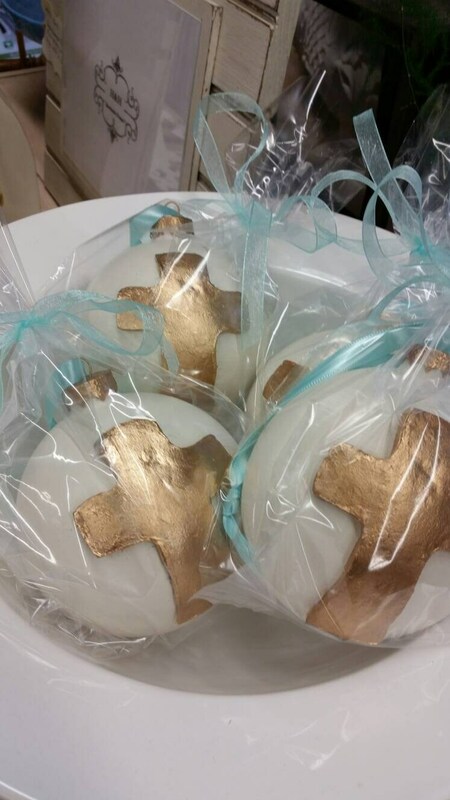 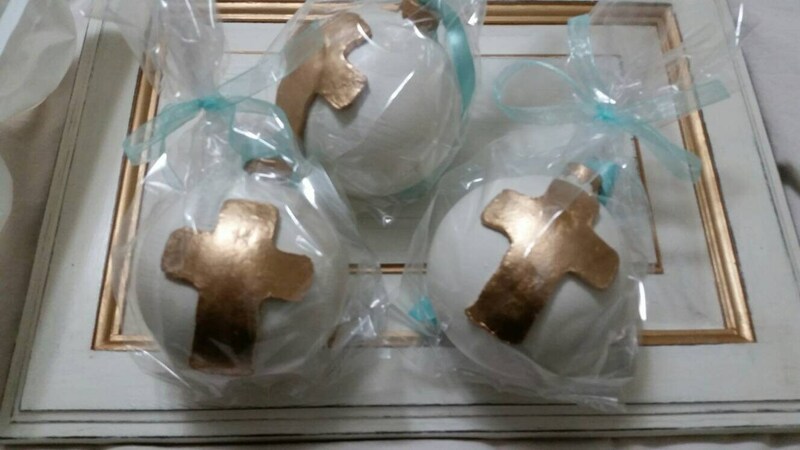 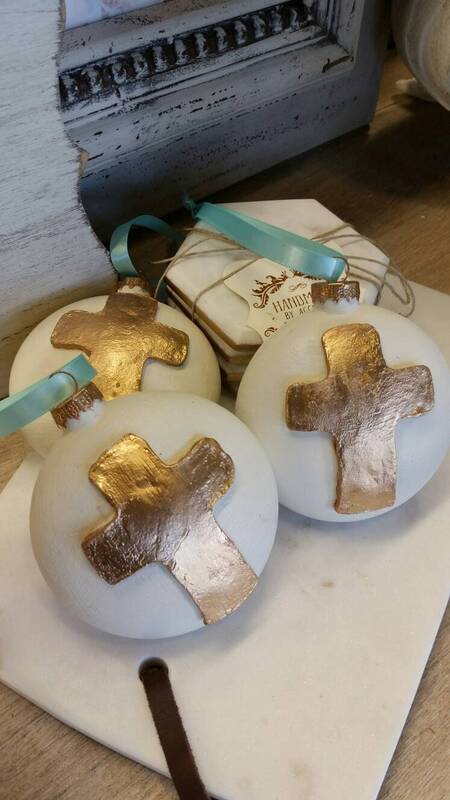 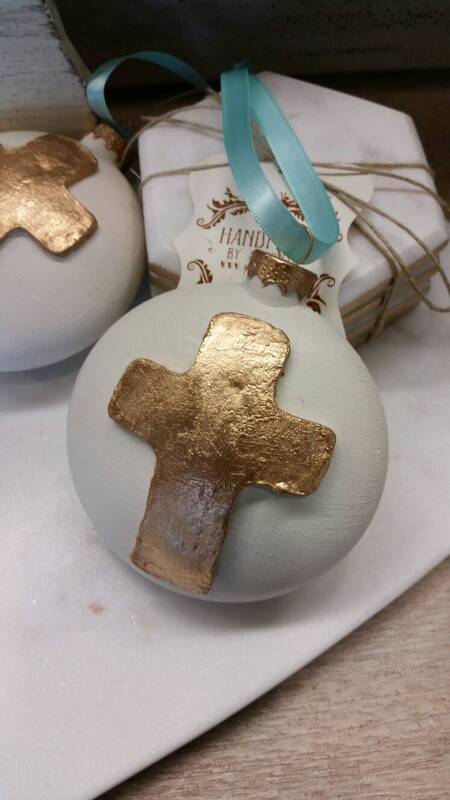 Handmade Gold Leaf Cross is applied to a 4 inch round glass ornament that is finished in Old White and a Tiffany Blue fabric ribbon that is tied at the top to make hanging easy. 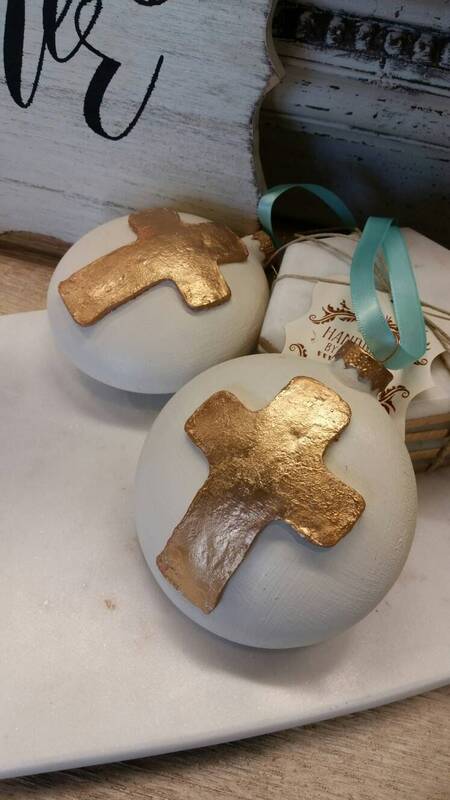 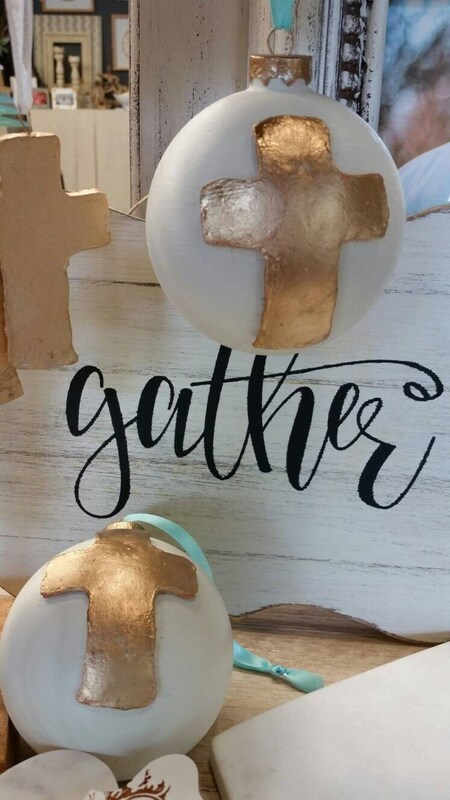 They would make a great gift for a hostess, bridesmaid, christening, baptism, or Christmas teacher's gift.